on the size of my stomach. by the size of my jeans. how close I can push up my breasts to my chin. and a lipstick liner in the other. And yes, I will have some more tacos. And no, I don’t want to walk to the market. to put your arms around me. and then heads for her aerobic class. free to be who we were born to be. 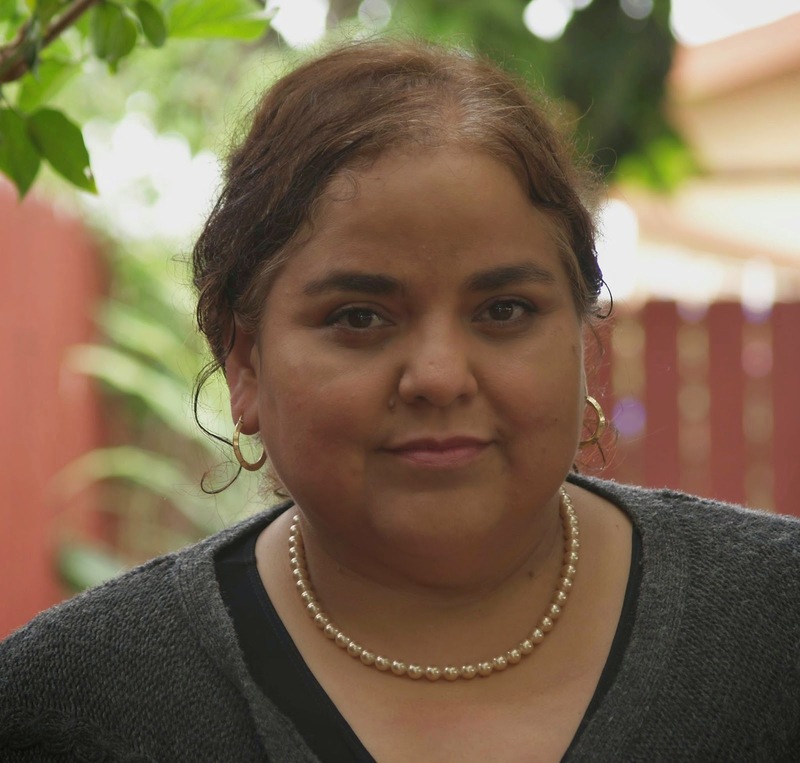 Sandra C. Muñoz has an MFA in Creative Writing from Antioch University. She is the owner of the Law Offices of Sandra C. Muñoz located in East Los Angeles. For over 15 years, Sandra has worked on cases involving employment discrimination, harassment, and retaliation. She has been featured in the Daily Journal, written for the California Business Law magazine, and participated on various education panels. Her creative work is featured in the play Black Butterfly, Jaguar Girl, Piñata Woman and Other Superhero Girls, Like Me by Luis Alfaro. this makes me wish for multimedia because the poem demands to be read out loud! thanks Sandra and Olga. Hey, wasn't this one of the poems she read at "Expresso Mi Cultura" long ago, before the Age of the Smart Phone as a Video Recorder? That night was an amazing night for spoken word. I could even enjoy "free verse" when those mujeres declamamndo their work. "Soy mujer de guerra..."